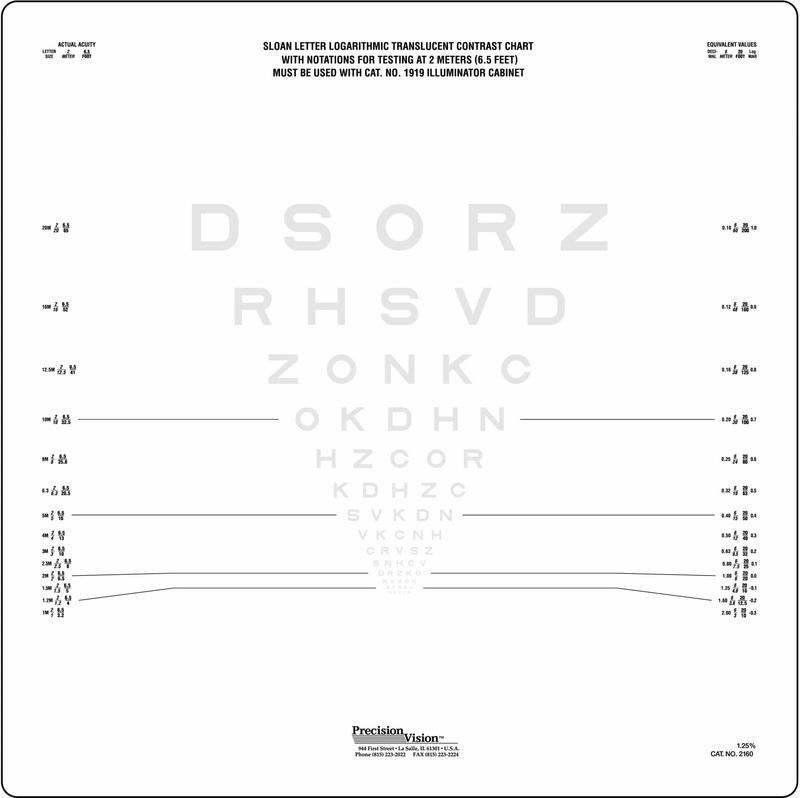 Precision Vision offers a number of low contrast charts and contrast sensitivity charts for contrast sensitivity testing. 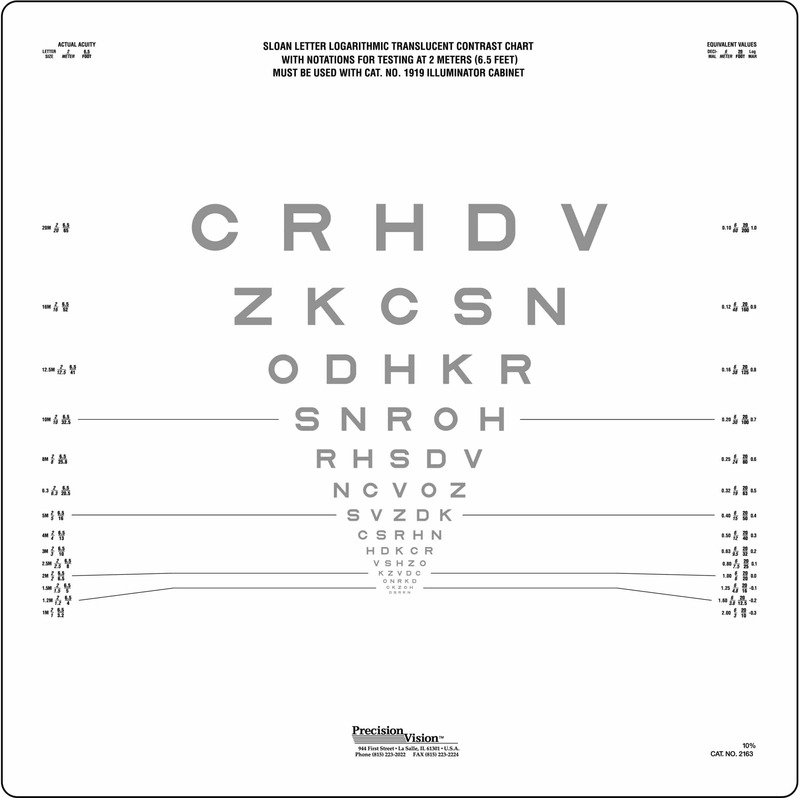 Contrast sensitivity testing is important along with other more standard eye exams in order to obtain a complete picture of vision health, and helps predict how a person can function in day-to-day routines. 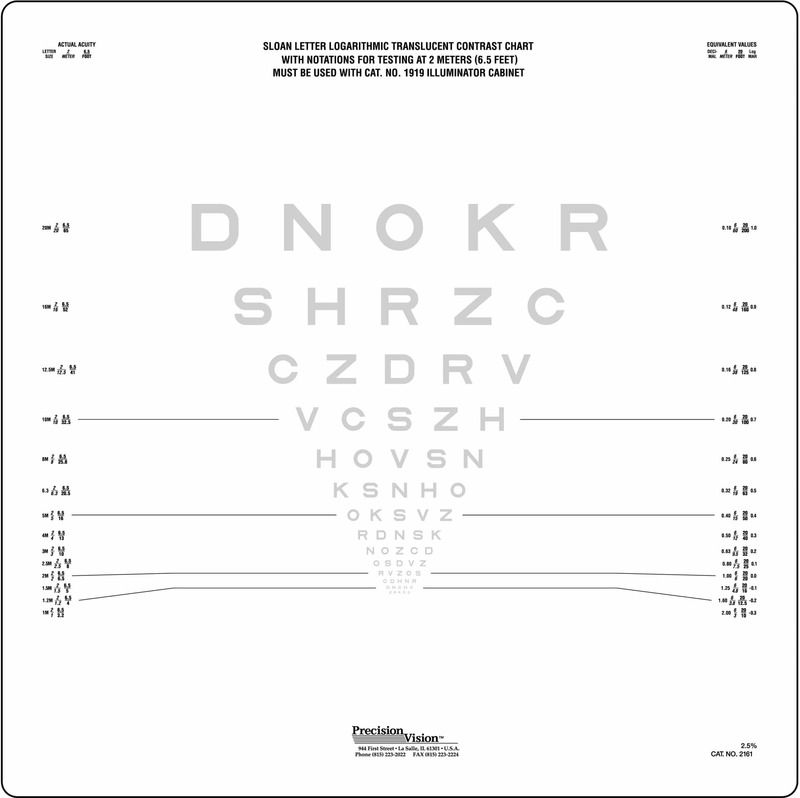 Contrast sensitivity is a vital part in normal vision and should be tested on a routine basis. 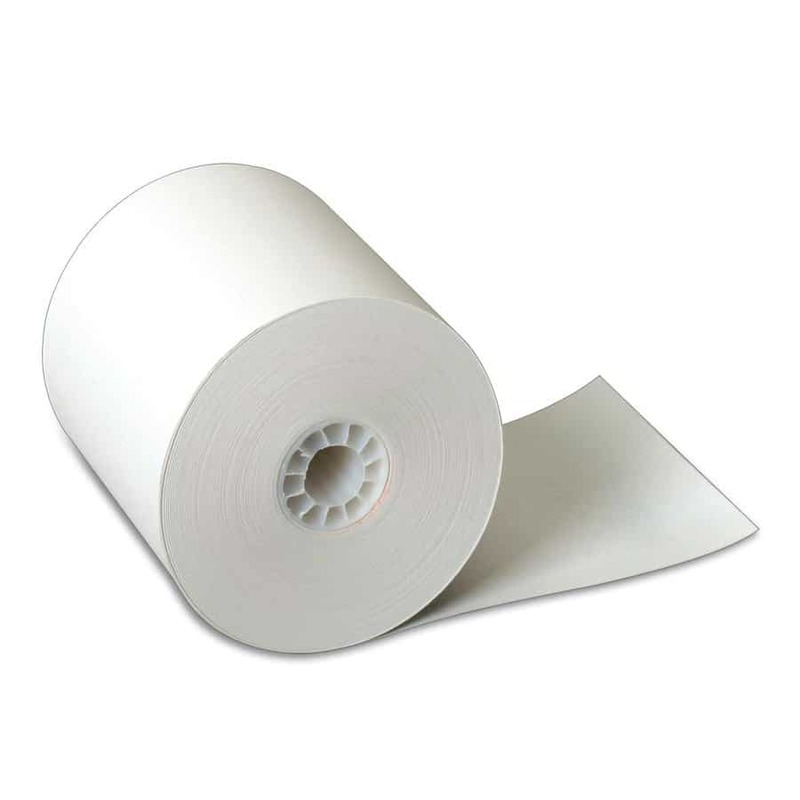 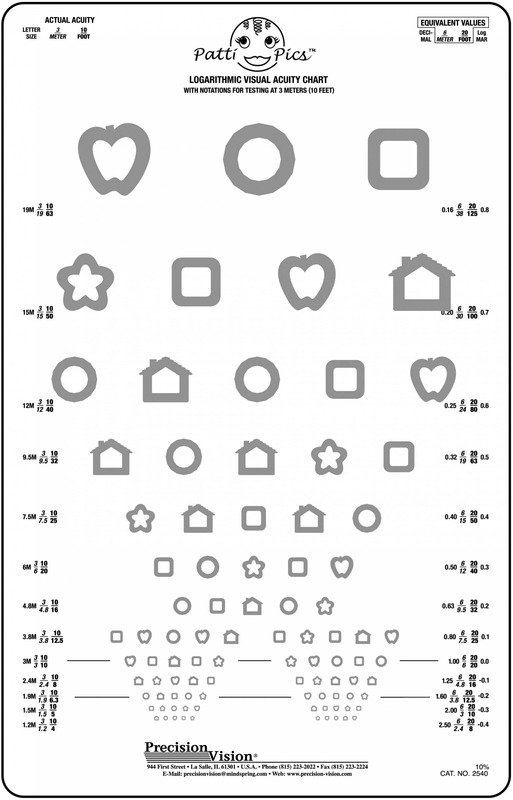 Without normal contrast sensitivity, the difference between a curb and the road, stairs, a spot on clothing and many other everyday items would be unnoticeable. 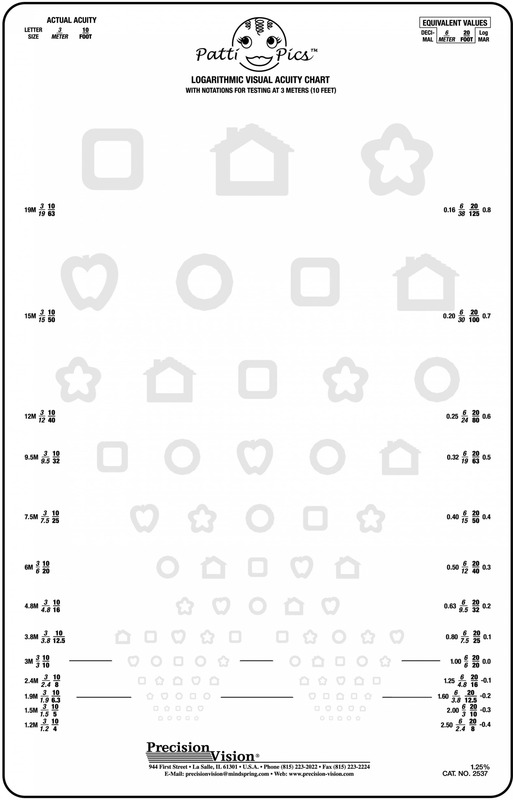 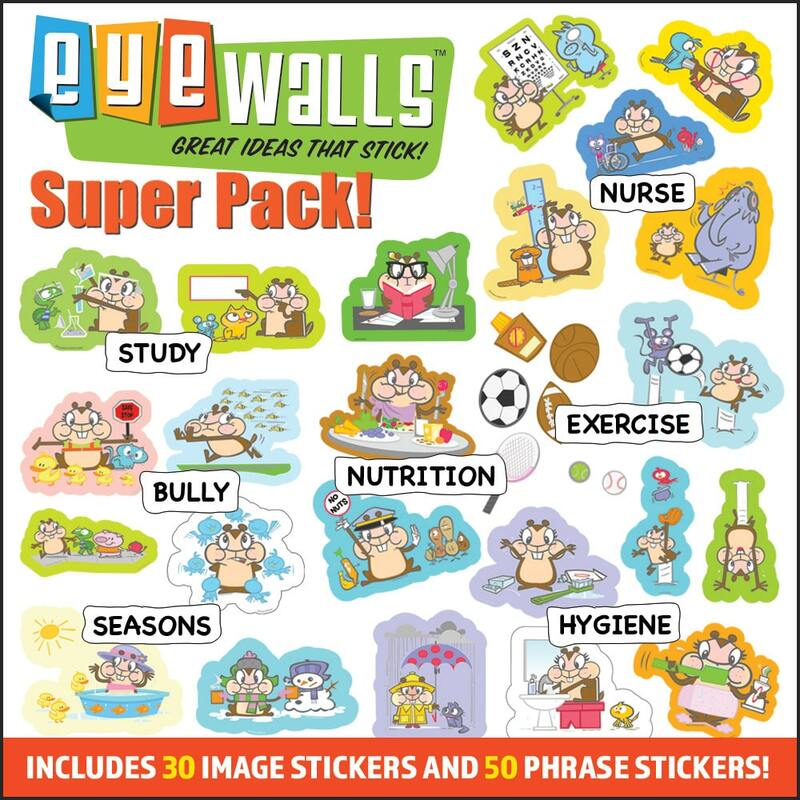 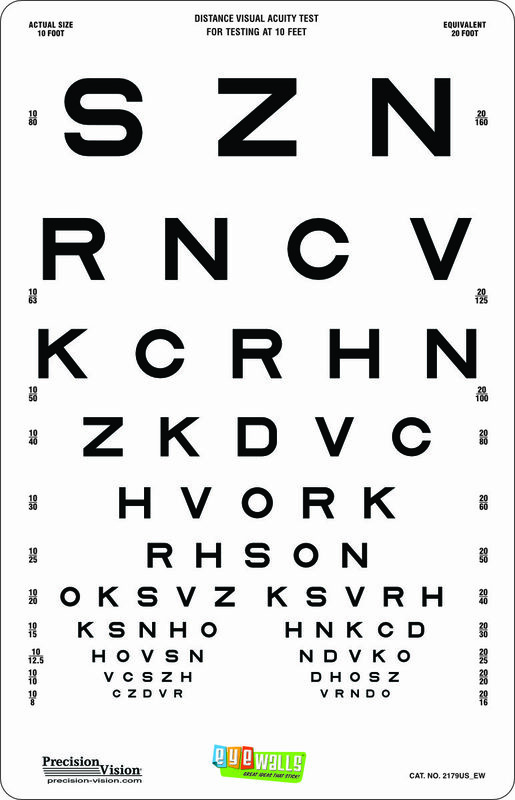 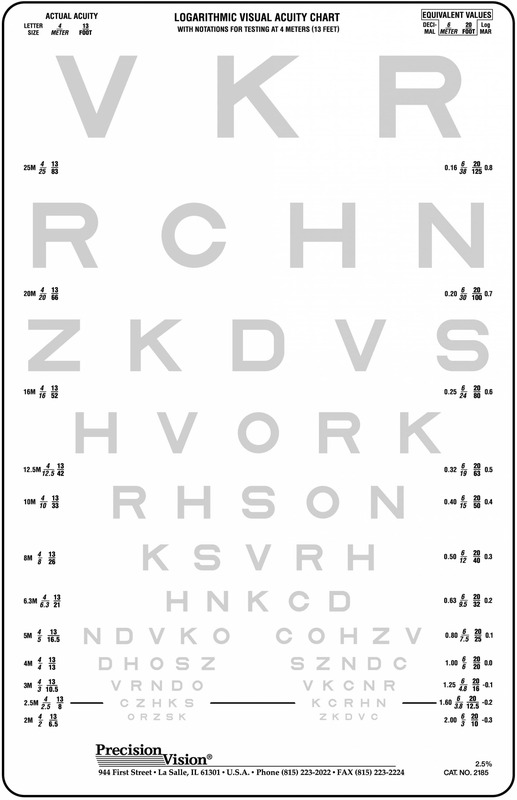 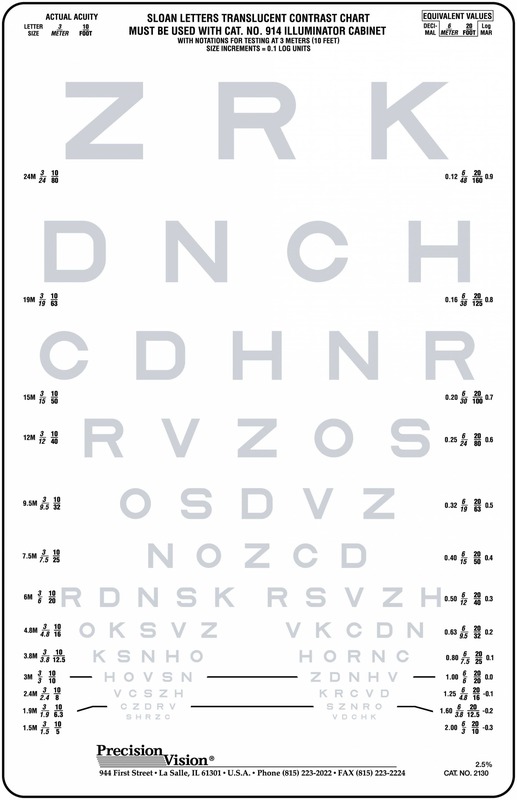 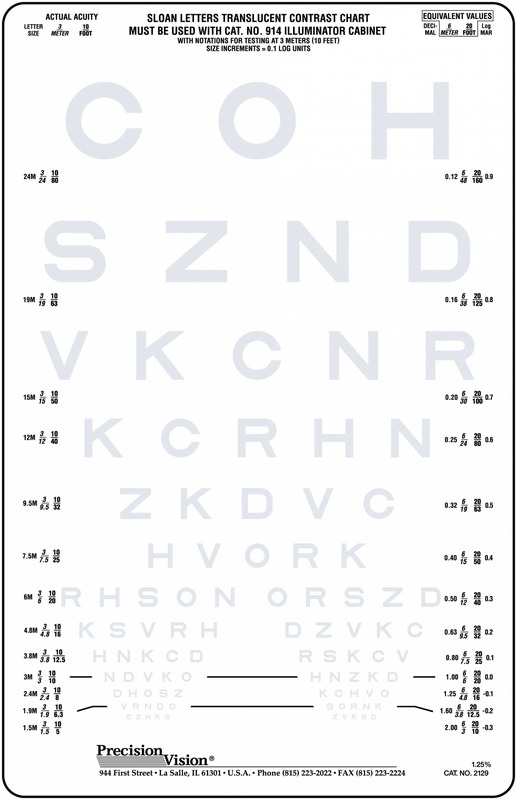 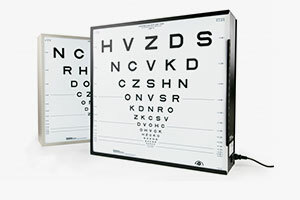 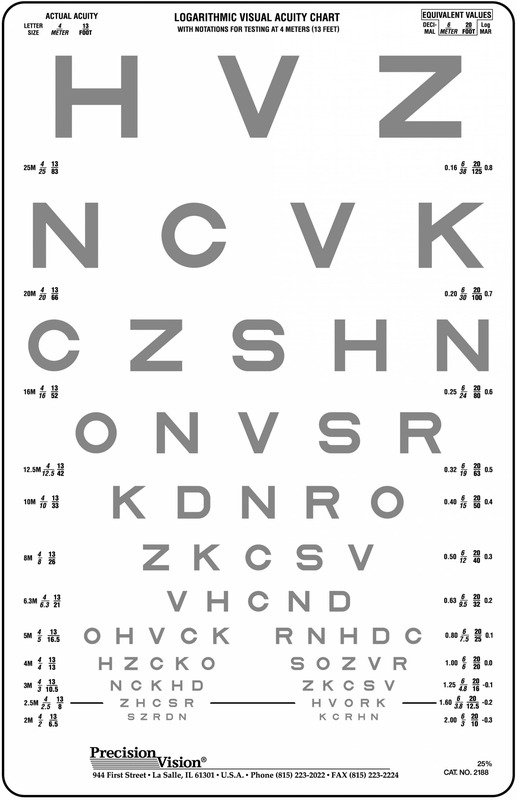 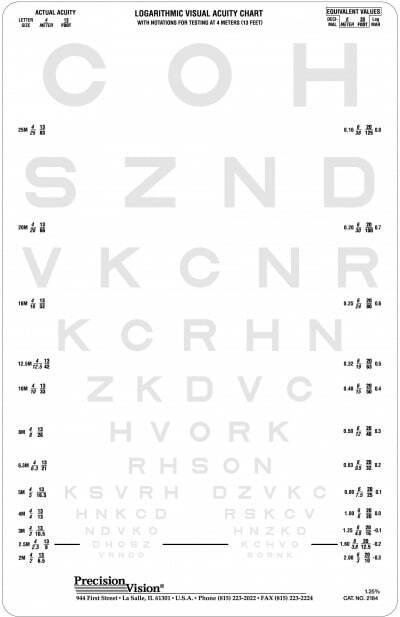 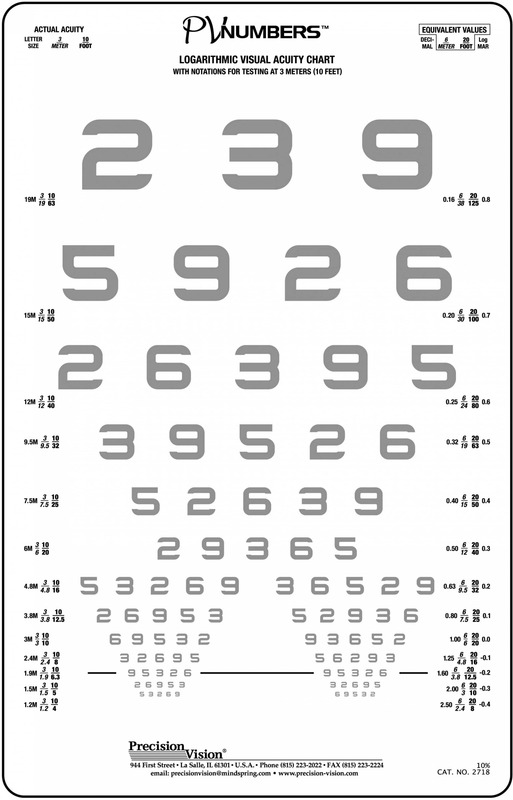 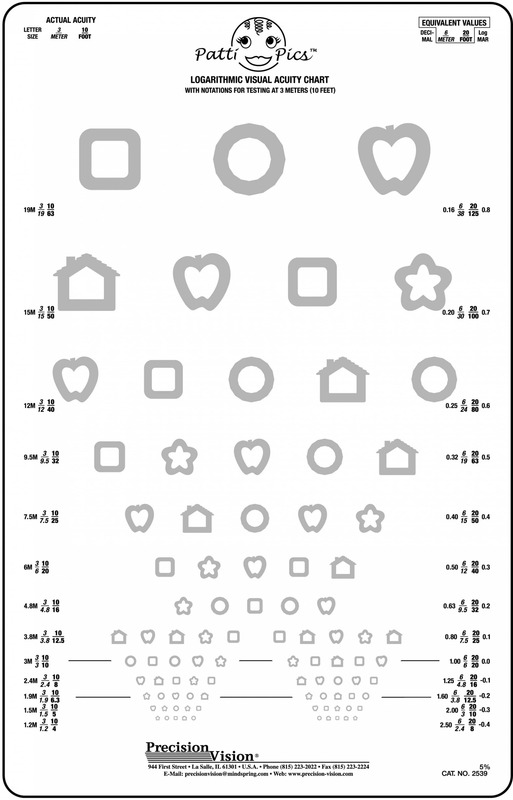 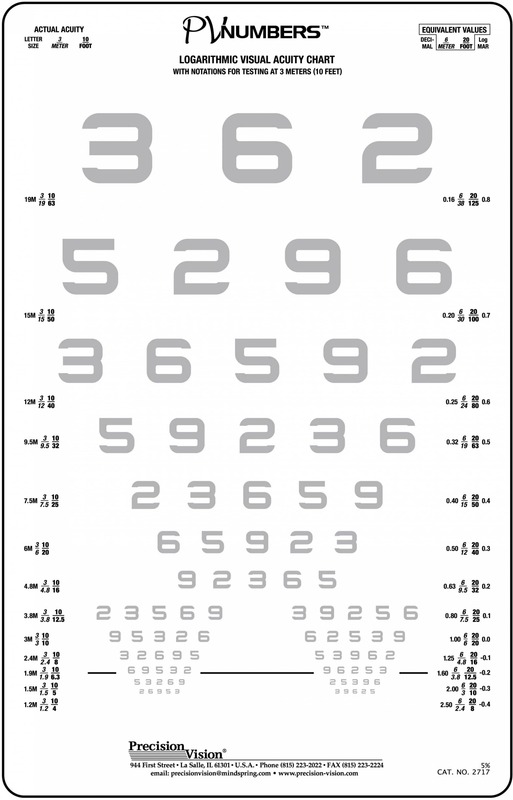 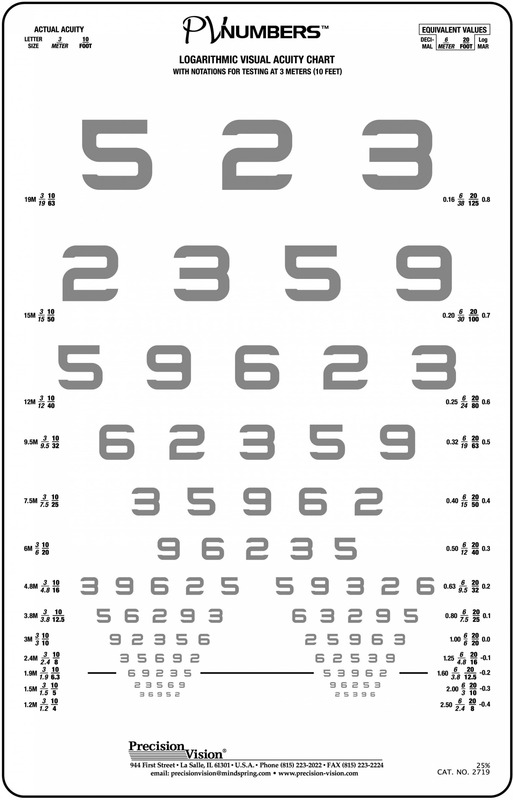 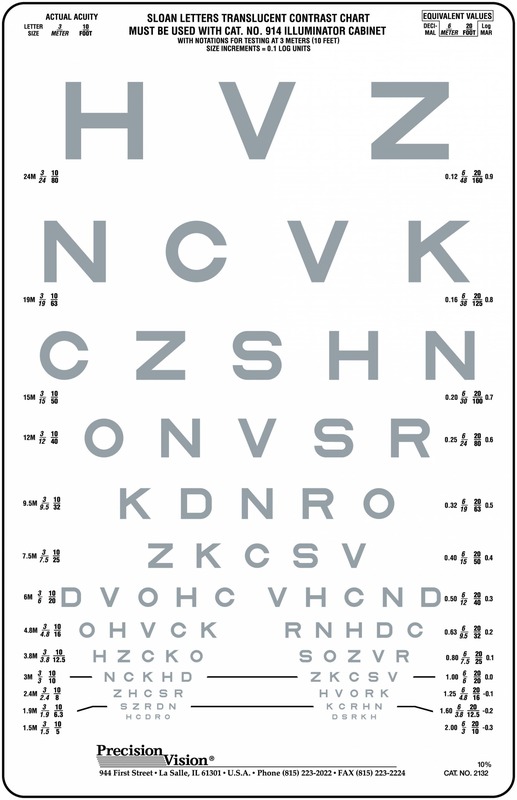 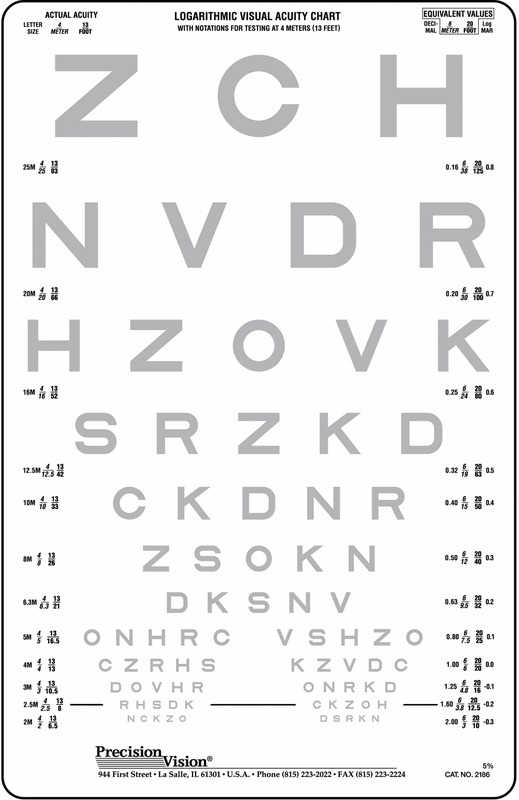 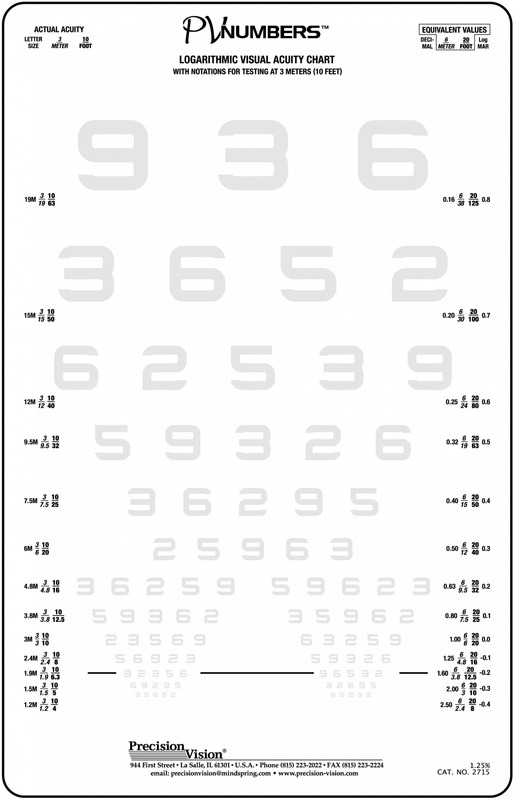 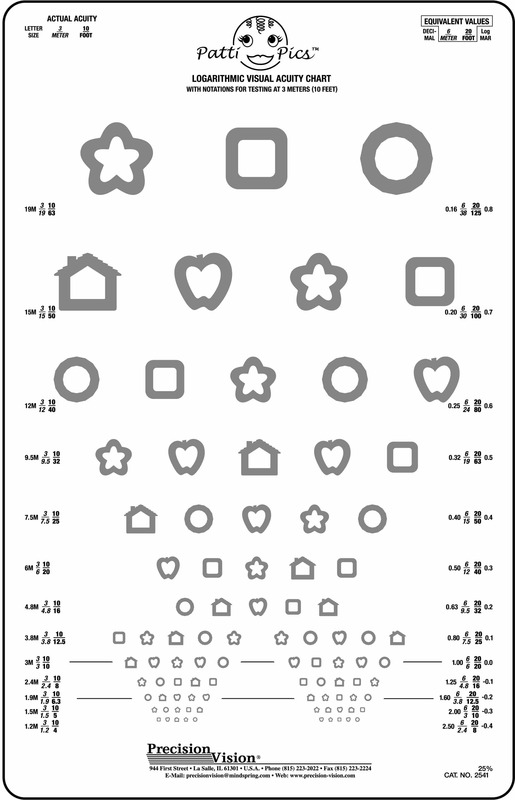 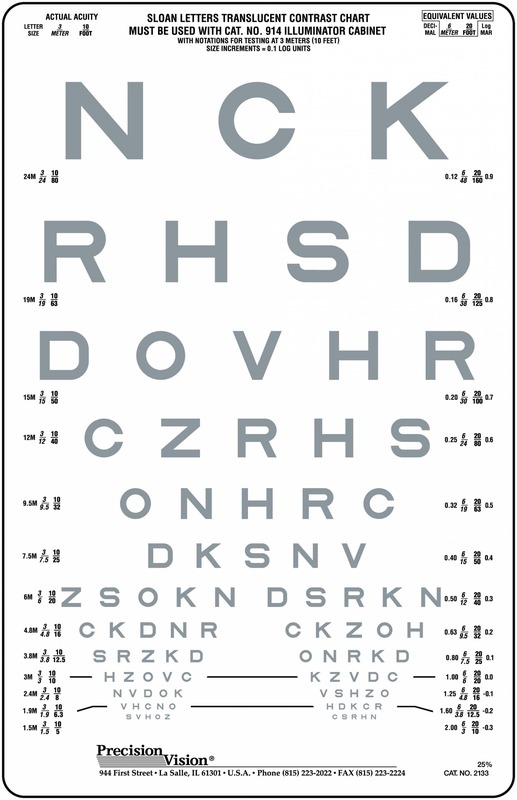 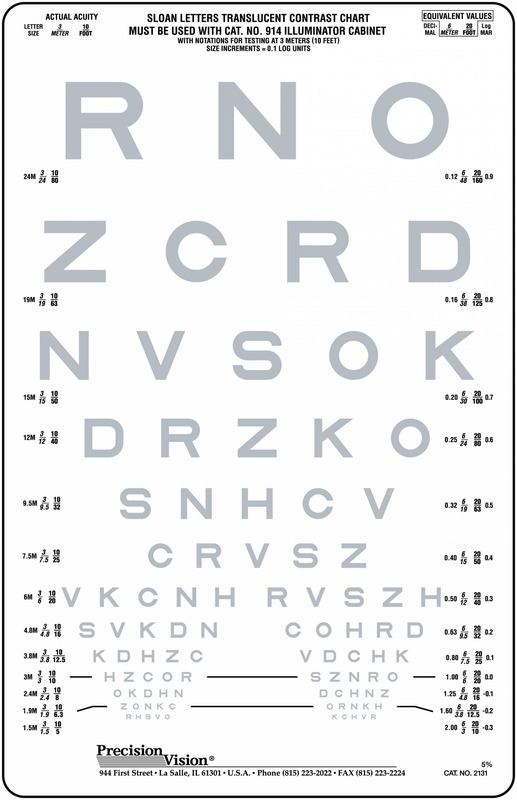 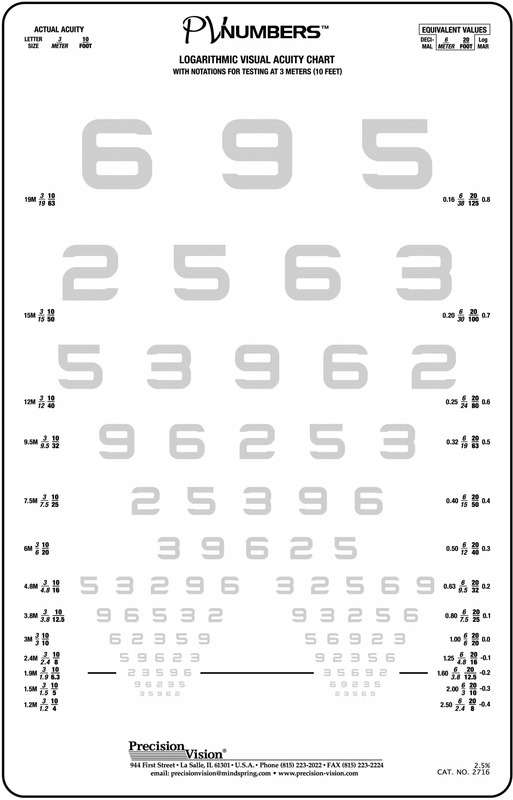 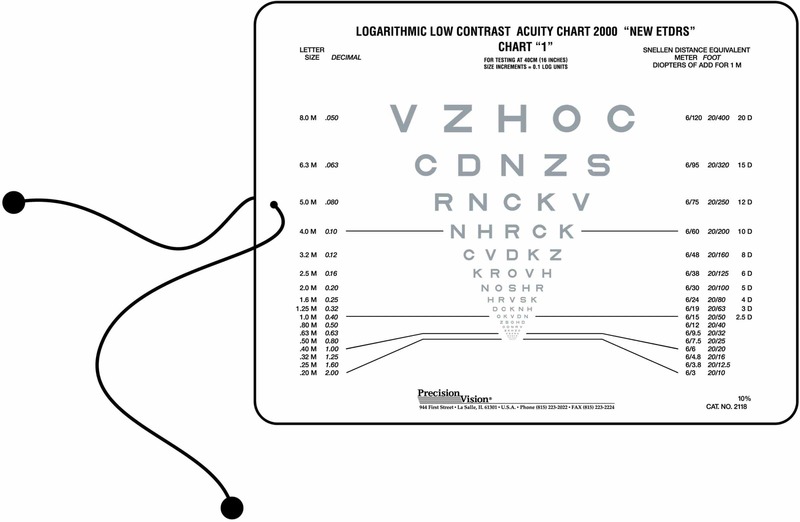 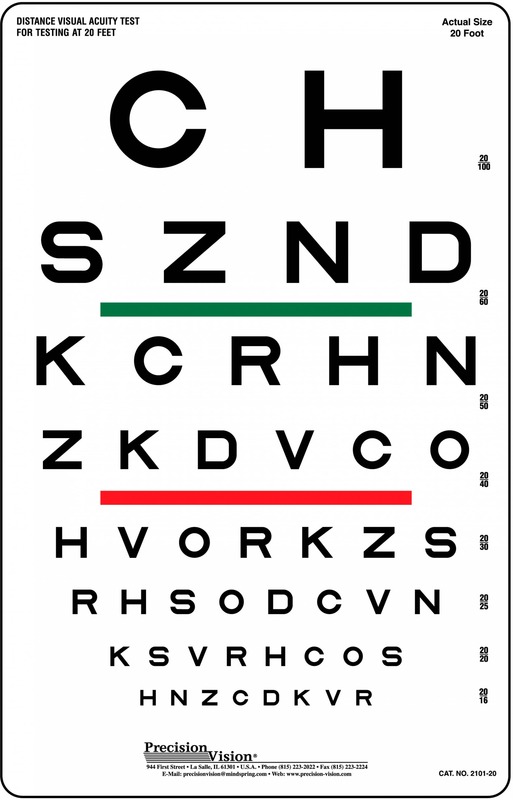 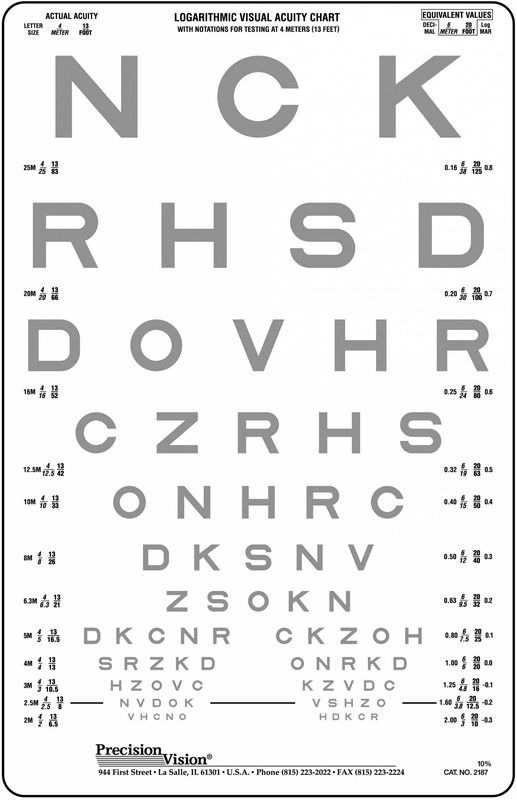 Some of our products include low contrast continuous text charts, low vision pocket vision test cards, low contrast Sloan double sided vision charts, mixed contrast “European Wide” near vision test cards and more.